With high-resolution printing, rapid turnaround, free next-day delivery and any shape, size or finish, you’ll have digitally printed labels which tick every box for some of the UK’s lowest prices. Your order will even come with a re-print or refund quality guarantee for complete peace of mind. Choose ANY shape and enter your own measurements for digital labels which perfectly suit your needs. They’ll be printed with our state-of-the-art Xeikon printers and then custom cut for an exceptional finish. Attentive customer support will also be on hand every step of the way. Get custom stickers in a range of shapes and sizes to choose from. Choose adhesive labels for a large range of custom finishes. Buy product labels that are a perfect fit for you. Select food labels to suit all your product requirements. 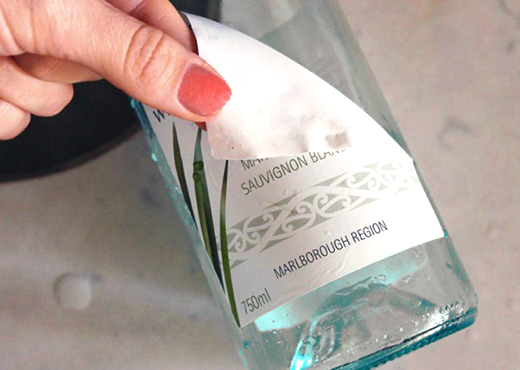 Purchase bottle labels that look superb and fit your budget. Want to make your labels stand out? Join our free course: 5 short design tips to make your product stand out’. It’s essential that you have label printing with every possible customisation option. Choose any shape, select any finish and enter any measurement, and your labels will be made to your exact requirements for the perfect fit and finish. You can also upload your own artwork and enter the precise quantity you need, and with our FDA-approved food safe toner, polypropylene or paper material they can be cost effective, waterproof and food-safe as well. 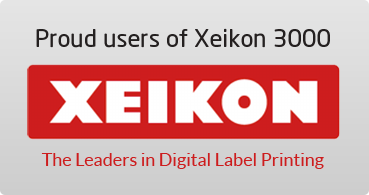 We’re one of the few UK label printers and manufacturers with the ability to invest in a world-leading print press: the Xeikon 3300 Plus. Simply put, it is a remarkable piece of technology, with 1200dpi printing at 16 metres per minute for unparalleled speed, colour and detail. It allows us to print labels on rolls and manufacture labels with supermarket shelf-quality which rivals the world’s biggest brands, and all for one of the lowest operating costs around. As a label company, we understand that even the best looking labels still need to be margin-friendly. That’s why we offer some of the UK’s lowest prices for medium-to-large orders on paper or vinyl (pp). Just enter your specifications to get an instant quote and see how affordable they can be. Plus, you’ll have fast turnaround and FREE next-day UK delivery as standard, with our usual order-to-arrival turnaround time only 2-3 working days.